Composite Wood Panels: Green by Nature! By their very nature, composite wood panels are among the greenest building materials available to consumers. They are produced from recycled wood and wood residuals that would otherwise be wasted or end up in landfills, making exceptional use of our valuable wood resource. They take less energy to make than other building materials and produce fewer harmful by–products. And, they can be reused or left to biodegrade naturally when their service life is done. When combined with the wide variety of innovative and durable decorative overlays available today, wood-based composite panels create consumer products that are a great choice for environmentally-conscious consumers. But how can you be sure the finished products you’re buying are really green? All you have to do is look for this seal. 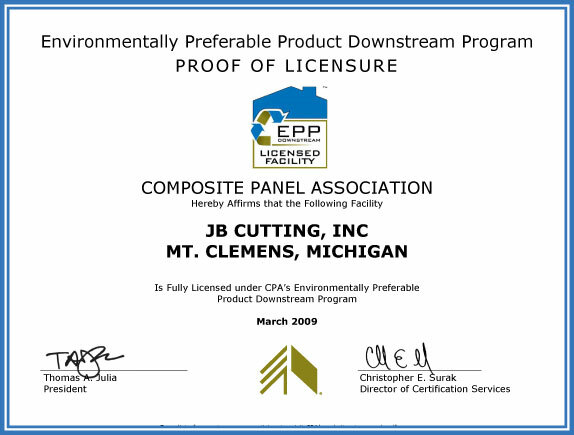 Only products carrying this seal are produced in a facility licensed under the Composite Panel Association’s Environmentally Preferable Product Downstream Program. What is the EPP Downstream Program? 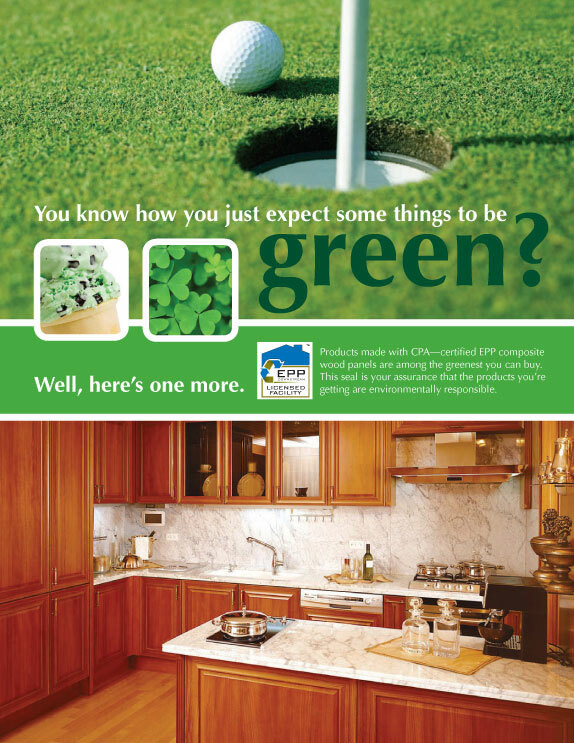 CPA’s EPP Downstream Program is an easy way for consumers to identify environmentally responsible products. Products carrying the EPP Downstream logo were manufactured by a company that has demonstrated their environmental commitment by purchasing at least 50% CPA EPP certified composite wood products. What are CPA EPP certified composite wood products? So when you specify and purchase EPP Downstream products, you can rest assured knowing that those products are manufactured to the highest environmental and quality standards. EPP Downstream Products: Good for You, Good for the Environment. If you’re looking for assurance that the products you purchase are environmentally responsible, make sure you look for products that carry the EPP Downstream logo. By purchasing these products, you’ll be supporting one of the greenest industries on earth.